Big Eye Quick Change Swivels with a mat black anti glare coating to help prevent spooking wary carp. 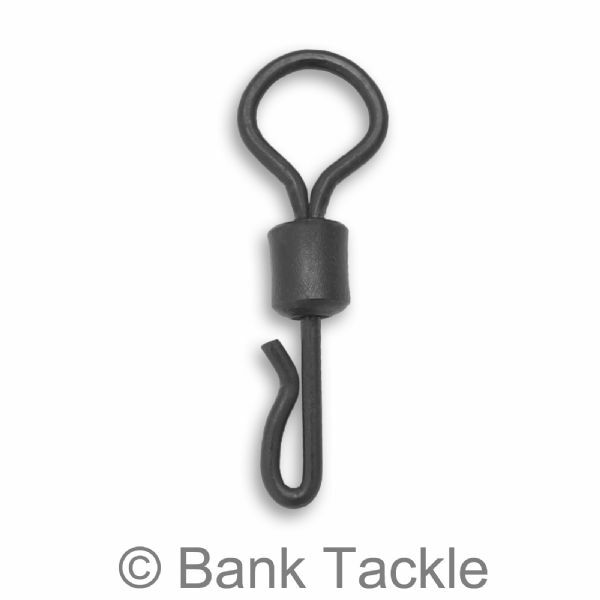 These swivels have a big eye on one end and a quick change link on the other so are highly adaptable. 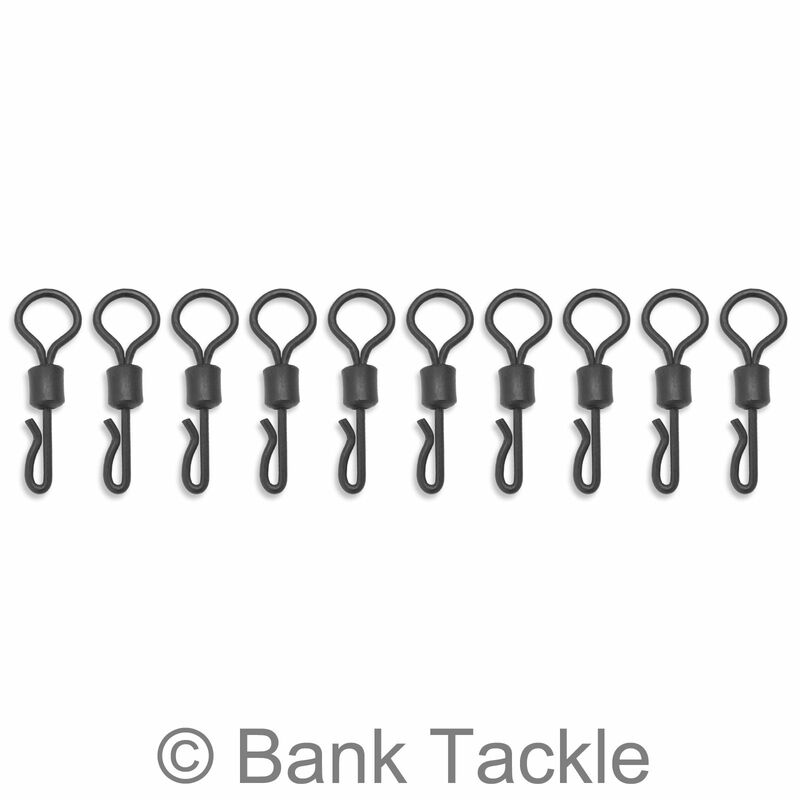 Quick change swivels are designed to allow anglers to quickly and easily change their chosen rig without the need to keep retying fiddly knots. 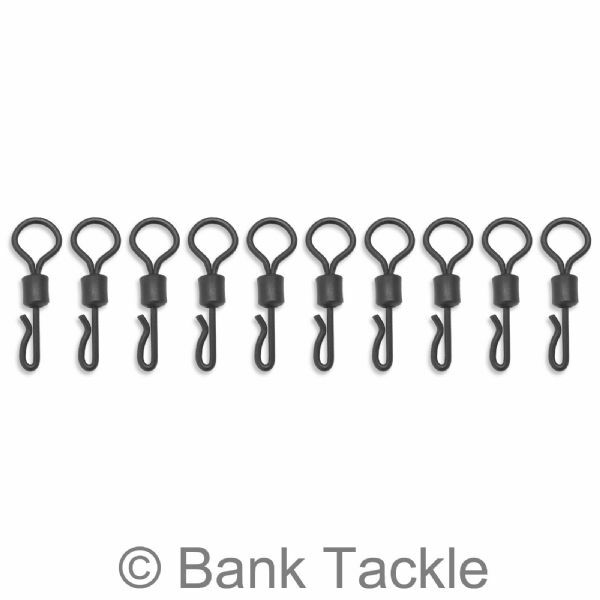 The big eye on these swivels makes them perfect for carp rigs where the swivel needs to be able to move up and down the line, like Chod Rigs or the freedom and maneuverability to be able to spin around the fishing line 360 degrees like Helicopter rigs.